Medieval 2 Total War Wrapper update! On May 13, 2014 / Gamersgate Games, Mac Strategy Games, Wrapper updates / Comments Off on Medieval 2 Total War Wrapper update! There were some issues in the past with the gamersgate downloader. I fixed those in the past as well but since a while ago that fix blocked the game from being downloaded with the latest changes on the download client of Gamersgate. Well, I fixed that now (Thanks for letting me know), and the message “Failed to sign in: An error occurred in the secure channel support” should be gone forever. So for the ones who experienced that problem, redownload the wrapper straight away!! Oh and I added a new paulthetall branded icon as well. Enjoy! Donkey Kong Craze (Remake) for Mac! On May 11, 2014 / Mac Platform Games, remakes, Wrapper updates / Comments Off on Donkey Kong Craze (Remake) for Mac! Remember Donkey Kong 1 + 2 Remake on the Nintendo? Now play it on your Mac! Choose between a classic Donkey Kong remake, with all the original levels or Donkey Kong Kong 2! A game-play video you will find here below. Enjoy and have a great mothers day! The Donkey Kong Craze game has been developed by the Acoders team as a sequel for the classic game featuring pretty much the same speeds and jumps, animations etc. to make it as faithful as possible to the original release. The game also includes scenes from the unofficial sequel called Donkey Kong 2: Jumpman Returns to give the avid players a taste of what’s going to come. Far Cry 2 Wrapper update! On May 11, 2014 / GOG.com Games, Wrapper updates / Comments Off on Far Cry 2 Wrapper update! It seems that the Wrapper of Far Cry 2 was taken down from filefactory without any good grounds, and I had no back-up of it. So I re-ported the game today and added the new Wrapper on the Far Cry 2 game page. This new Wrapper has some speed improvements, small bug fixes and a new Icon. Enjoy the game! Knights & Merchants Remake Video + Wrapper update! On May 10, 2014 / GOG.com Games, Mac Strategy Games, Wineskin Wrapper / Comments Off on Knights & Merchants Remake Video + Wrapper update! I recently put on a Wrapper of the Knights and Merchants remake a while back. I had some very nice feedback from the developers of the remake but because of legal reasons they asked me to only put on the Wrapper, because the remake is only legal to play if the original version of Knights & Merchants  The Peasants Rebellion is installed in the Wrapper. So I re-uploaded the Wrapper without pre-installation of the game and instead created a video instruction about the installation of the game. So below you will find the video instructions as it will be on the game page as well. Ship Simulator Extremes Wrapper update! On May 10, 2014 / Gamersgate Games, Mac Simulator Games, Wrapper updates / Comments Off on Ship Simulator Extremes Wrapper update! On request a Wrapper update of Shipsim Extremes. This Wrapper update should fix some bugs and contains a new paulthetall.com icon. 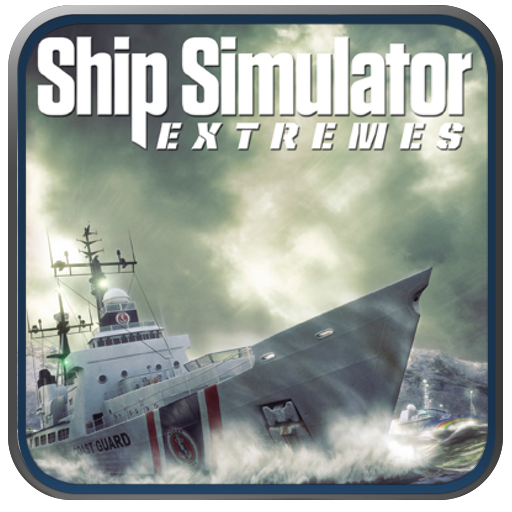 Ship Simulator Extremes is one of the best ship simulators ever created! SimCity 4 Deluxe released for Mac! On May 8, 2014 / Gamersgate Games, Mac Simulator Games, Native Mac Games / Comments Off on SimCity 4 Deluxe released for Mac! Yes, this game is re-released for the Mac! The old version was only playable on PPC, but it is back and works with the latest 10.9 Mavericks OSX! In SimCity 4 Deluxe Edition , you don’t just build your city; you breathe life into it. Sculpt mountains, dig riverbeds, and seed forests as you lay the groundwork for your creation. Then, use your god-like powers to construct the most realistic metropolis you can imagine. SimCity 4 is now available on Gamersgate for Mac, so get it and play! Where are you waiting for? Have fun! 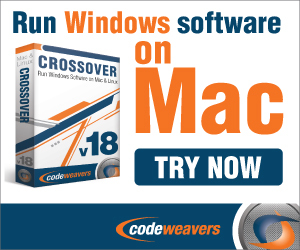 1849 released for the Mac! On May 8, 2014 / GOG.com Games, Mac Simulator Games, Native Mac Games / Comments Off on 1849 released for the Mac! Another game release on GOG.com! The year is 1849, and gold has just been discovered in California. You decide to head out west, to seek fame and wealth in the approaching Gold Rush. Will you strike gold and become an overnight mining magnate? Or will you build your fortune bit by bit by supplying 49ers with pickaxes and blue jeans?. 1849 is now available for Mac on GOG.com. Checkout the trailer below! Tesla Effect released for the Mac! On May 8, 2014 / GOG.com Games, Mac Adventure Games, Native Mac Games / Comments Off on Tesla Effect released for the Mac! Who doesn’t know Tex Murphy? A couple of them are already ported to Mac, and now this new release is added to the series. Motivated by lost love, revenge, and the world’s strongest coffee blend, Tex must retrace his own steps into a maze of unsolved murders, hidden agendas, and lost technologies of Nikola Tesla. Only by solving the mysteries of his past can Tex hope to regain his memory in time to restore what’s been lost and stop a terrifying future. Tesla Effect is now available for Mac on GOG.com. Check out the trailer of this amazing adventure below! Tonight Manesh Sonah added another feature on the website on my request called: Live Chat. This new feature gives you the possibility to chat live on the website and put your questions there and the community or I will answer your questions and requests there. I will regularly check the page as well and see if I can help out with whatever is asked. There are only two rules, keep it civilized and paulthetall.com related. You can find the Live Chat feature in the top bar of the website, so simply click on the “Chat” link there and you will join the Chat session. When you have an account on Paulthetall.com, then you will be visible with your account name, otherwise you will be mentioned as a guest. Enjoy!